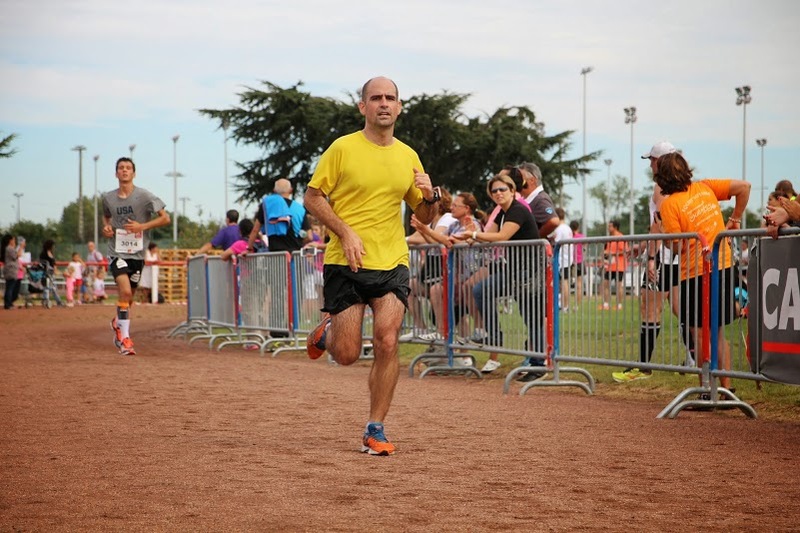 After 2 months without competing, I took part today in Blagnac’s half or semi marathon. In this 2014, I am finding it hard to find the necessary consistency with the training. I go from fulfilling a week of training to just run 2 or 3 days the following week. It’s an issue of motivation, engagements and fatigue. 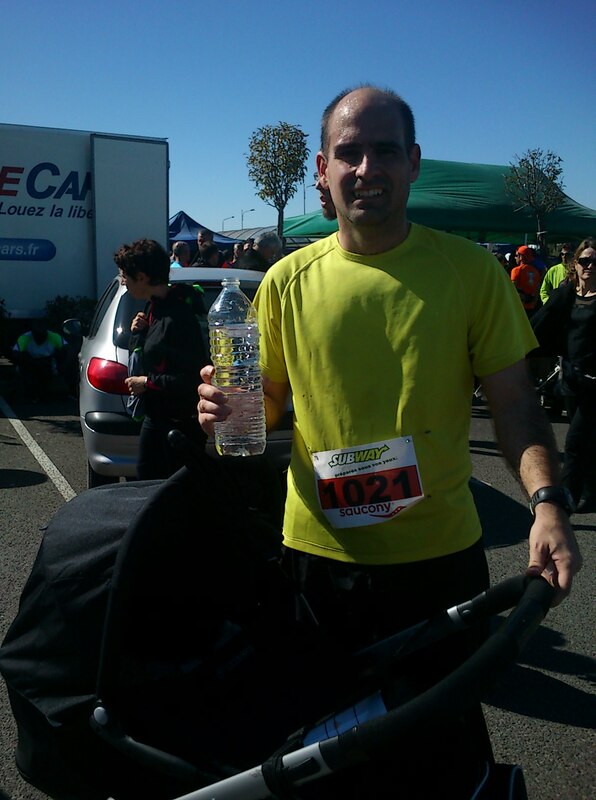 That is why, today, I had not in mind pursuing any personal best time in the distance (1h37’29”). 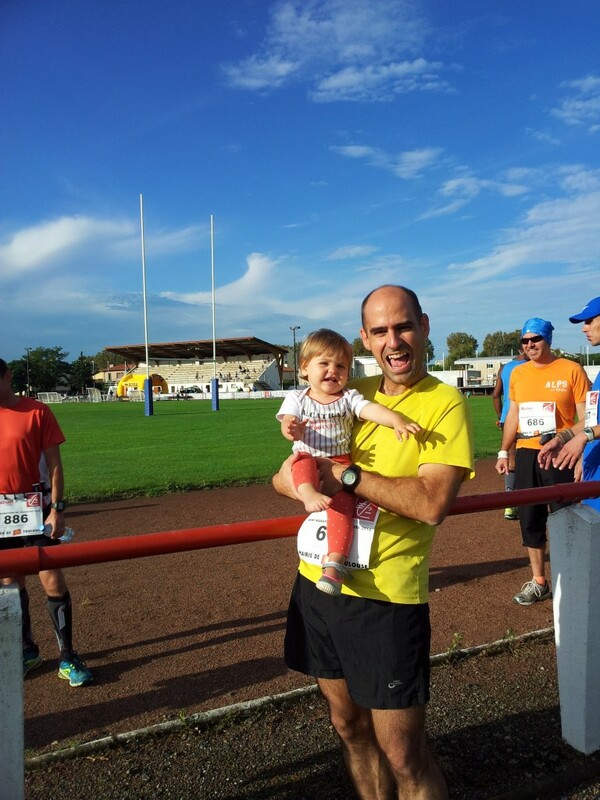 I rather checked beforehand the paces needed to achieve 1h40′ and 1h45′ and I targeted at the start line for 1h40′. The day was sunny and windy. But it was way to sunny and hot, and a bit too windy for some of the long straight streets. 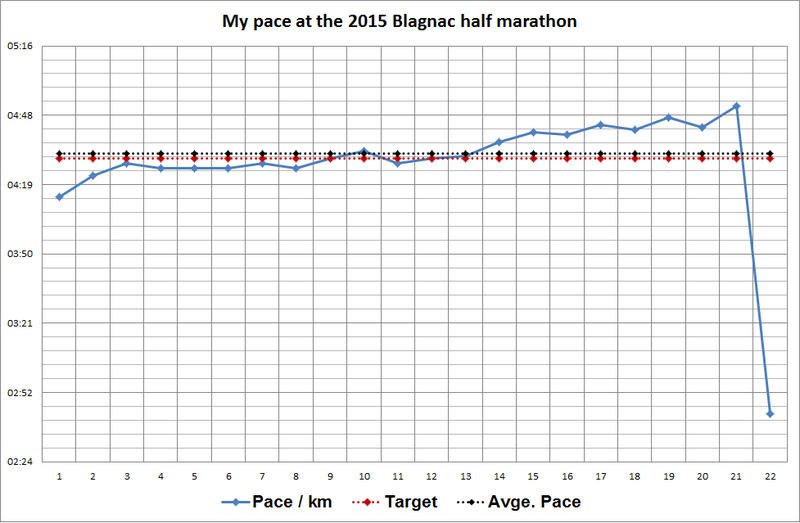 Nevertheless, Blagnac’s half is completely flat. Thus, the main issue today was the lack of fitness. I started with 2 kilometres at about 4’30” and then adapted the pace to try to continue at about 4’45” in order to be under 1h40′. However, in the second half of the race I felt that I wasn’t going to make it. It was hard for me to keep the pace. Thus, I just tried to maintain a rhythm which was not painful and at the same time would permit to clock a time below 1h45′ and so I did. That is the good thing of having a plan B, or making it (making up the numbers in your head) on the fly (or rather run). 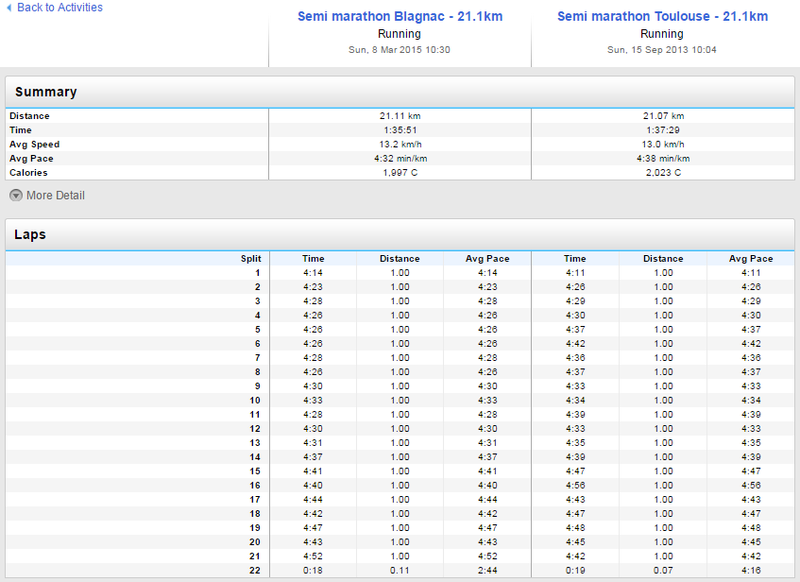 In the end, I finished in 1h44’19” net time as recorded by my Garmin. Definitely not the best half I have done (I haven’t done so many). I take it as a training and a test for Rotterdam Marathon, in about a month (April 13th). I will need to get more serious in the remaining weeks of training prior to that date if I don’t want that marathon to be a nightmare. 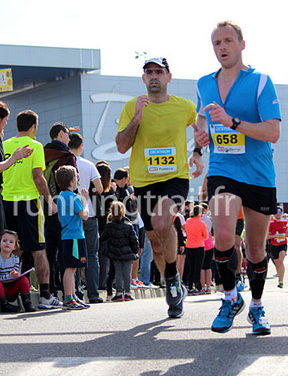 After finishing Blagnac’s half marathon.